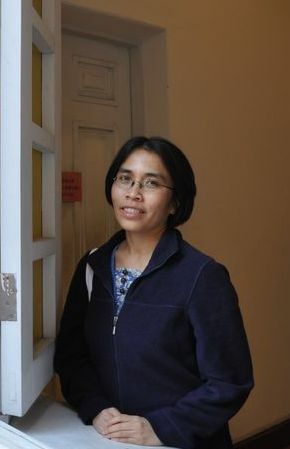 International Relations BINUS University | Paramitaningrum, Ph.D.
Paramita is currently a faculty member in International Relations Department at BINUS University in September 2014. She received her Post-Graduate Diploma in Diplomacy, from University of Birmingham, UK (2002), and her PhD in European Studies from Tamkang University, Taiwan (2014). Prior joining to BINUS University, Paramita has been a teaching assistant in University of Indonesia at the Department of International Relations Faculty of Social and Political Sciences (HI FISIP) and a lecturer Postgraduate Program of European Studies (KWE). Here she taught courses on Modern Diplomacy, International Relations in Europe, and European Union. Paramitaningrum. (2017). The Role of the EU Development Assistance to Address Deforestation Issue in Indonesia. Asia-Pacific Journal of EU Studies, 15(1), 45-62. Paramitaningrum. (2014). Partnership cooperation agreement (PCA) between the European Union (EU) and the Republic of Indonesia: an EU instrument to intensify its bilateral engagement with Indonesia. A PhD Dissertation, Graduate Institute of European Studies, Tamkang University. Paramitaningrum. (2014). Partnership Cooperation Agreement: Current EU-Indonesian Relations from an Indonesian Perspective. Tamkang Journal of International Affairs, 17(4), 93-139. Paramitaningrum. (2013). Enhancing People-to-People Cooperation between ASEAN and East Asia Countries through Counterparts: The Case of Indonesian Student in Taiwan. Journal of ASEAN Studies, 1(2), 148-160.